Teya Salat, 24 years old, Russia, Saint-Petersburg. 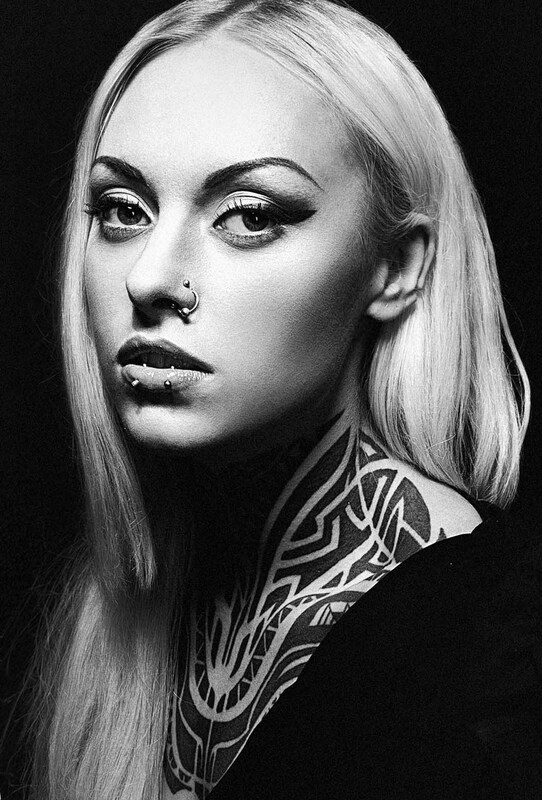 Teya is one of the most charismatic tattoo models in the game. Her neck piece makes her unique and instantly recognizable all around the globe. Currently Teya is busy posing for covers of worldwide famous magazines, advertisment photoshoots and music videos. 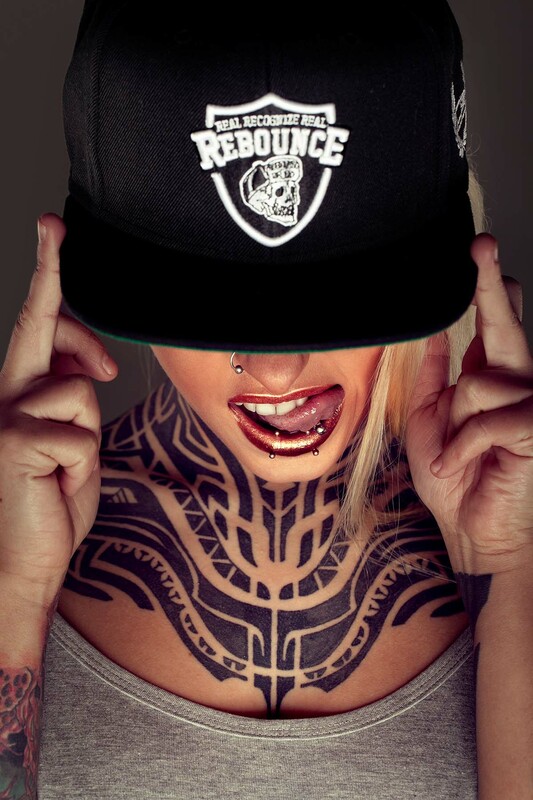 She is one of the Sullen Angel and Rebounce girls, Headrush Angel and is currently busy making clothing lines that feature her face. Extremely energetic, Teya does not stop with what she has accomplished and is open for new collaborations and projects.